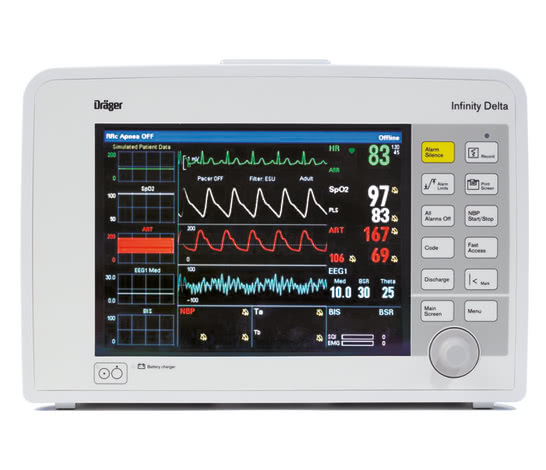 Infinity Delta is a vital sign monitor that supports all patient types, acuity levels, and care areas. Patented Pick and Go technology enables the same monitor to stay with the patient at the bedside, or to be transported throughout the hospital. The Delta offers scalability by using Infinity pods and software options and can be connected to third-party medical devices. It has an intuitive user interface with on-screen menus and function keys makes the monitor easy to use.